In Luciano Zubillaga’s Things To Come, the actress Hanna Schygulla poetically meditates on magic, youth, the politics of idealism, revolutionaries yet to come and lovers yet to meet, whilst we observe a series of anonymous characters wander through a former Argentine detention camp, a café in Kottbusser Tor and the desolate remains of a town, destroyed by an earthquake. 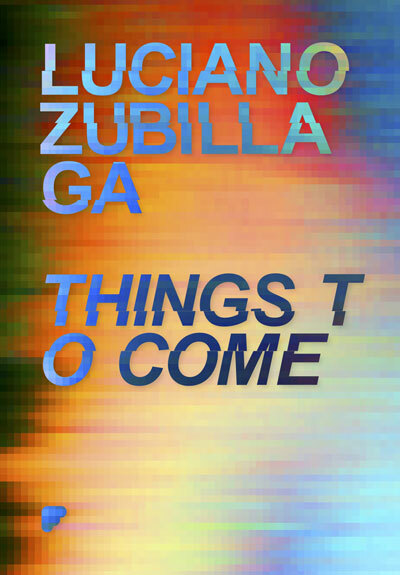 Things to Come is part of Alien Cartographies, a series of three works by Zubillaga that celebrate the projects of optimism and militancy set against a symphonic score by the artist’s father, Luis Zubillaga. Luciano Zubillaga recently exhibited work at IMT Gallery, London, Image Movement, Berlin, The Museum of Modern Art, Buenos Aires, the Whitechapel Art Gallery, Art-O-Rama, Marseille and at Ann Arbor Film Festival. He was born in Argentina and lives and works in London. Disc 2 featurette includes the performative interview Impressions 1 directed by Luciano Zubillaga.